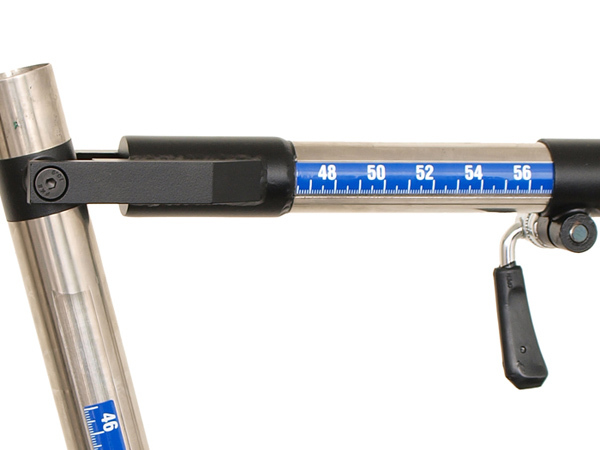 Fitmaster – the precision bicycle fit simulator. 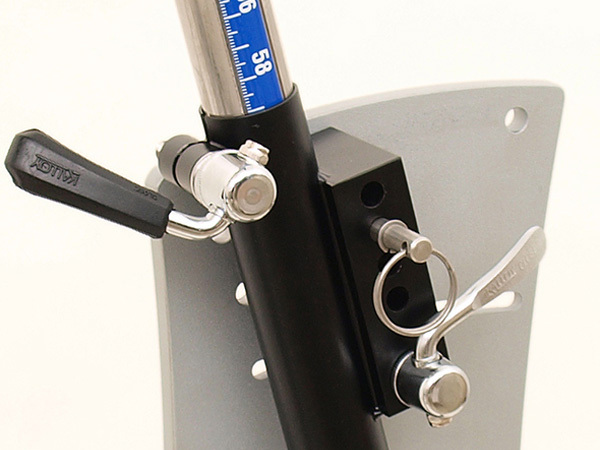 The Waterford Fitmaster Bicycle Fitting Machine lets you quickly and easily develop and verify quality bicycle fits, whether for stock frame selection or custom frame design. No other product provides the versatility, verifiability and durability. 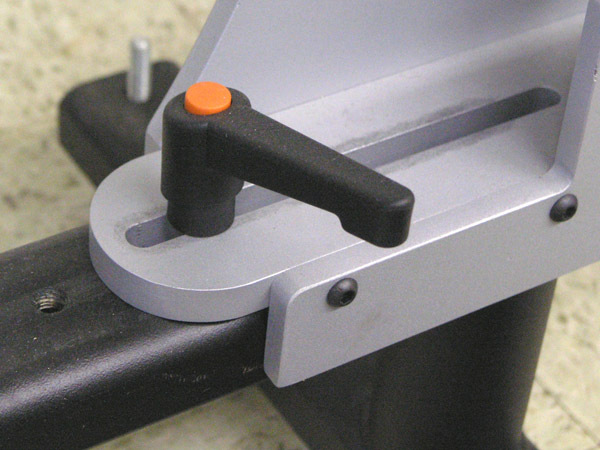 Inspect the Fitmaster up close. Take a tour of the Fitmaster. Learn how to use the Fitmaster. How can the Fitmaster help your business? 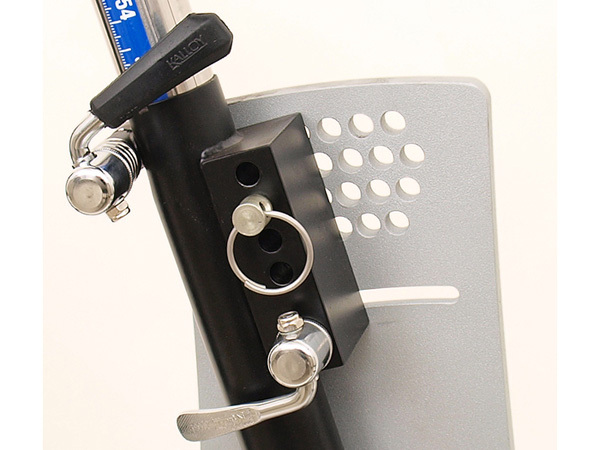 An indispensible part of any professional bicycle fit studio, the it provides a versatile, convenient, precise and repeatable tool for verifying and fine tuning bicycle fit. It works great for shops looking to reduce their inventory. 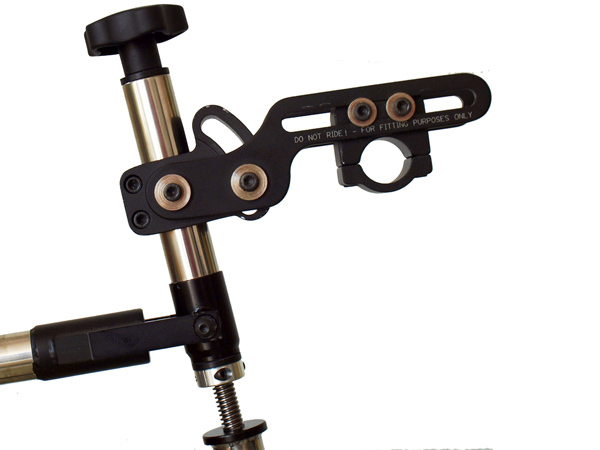 Use it to replicate a stock bike, which shifts more of your purchasing to special orders rather than having to guess on sizes, colors and component specs. 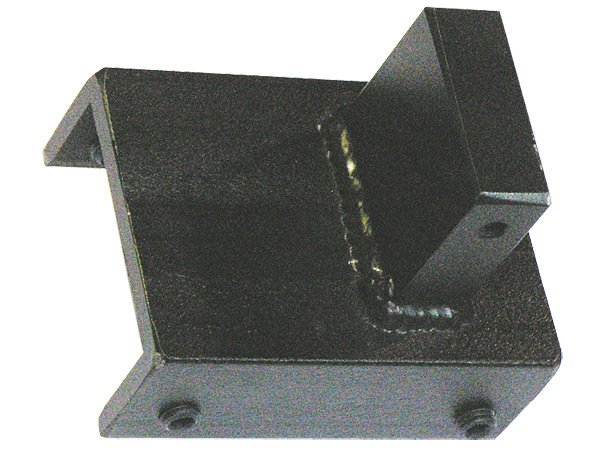 Using it for fits reduces the incidence of damage to your floor stock. It works well with all major fit protocols, whether Fit Kit, Serotta, Retul, Slowtwitch FIST analysis or others. 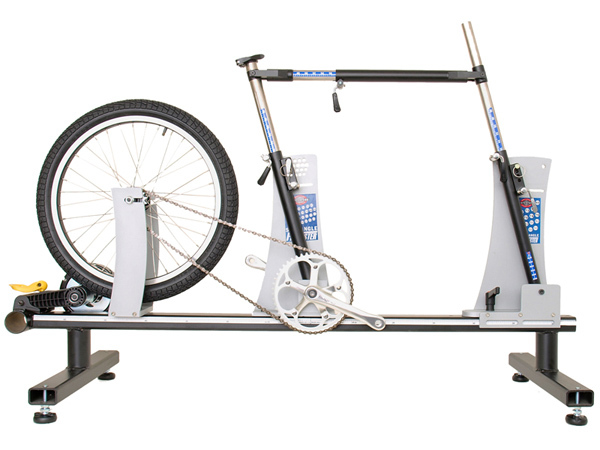 It can be adapted for use the the Computrainer, opening up the door to indoor racing. The solid base gives rider confidence. Sturdy construction makes this an excellent long term asset. Designed for 27.2mm seatposts and 1 1/8″ head tubes, it’s easy to swap saddles and bars. 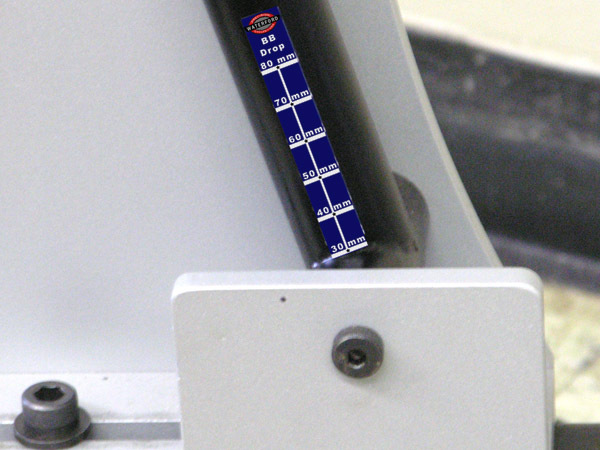 Optional head tube fine tuner allows you to raise and lower the bars with the turn of a knob. 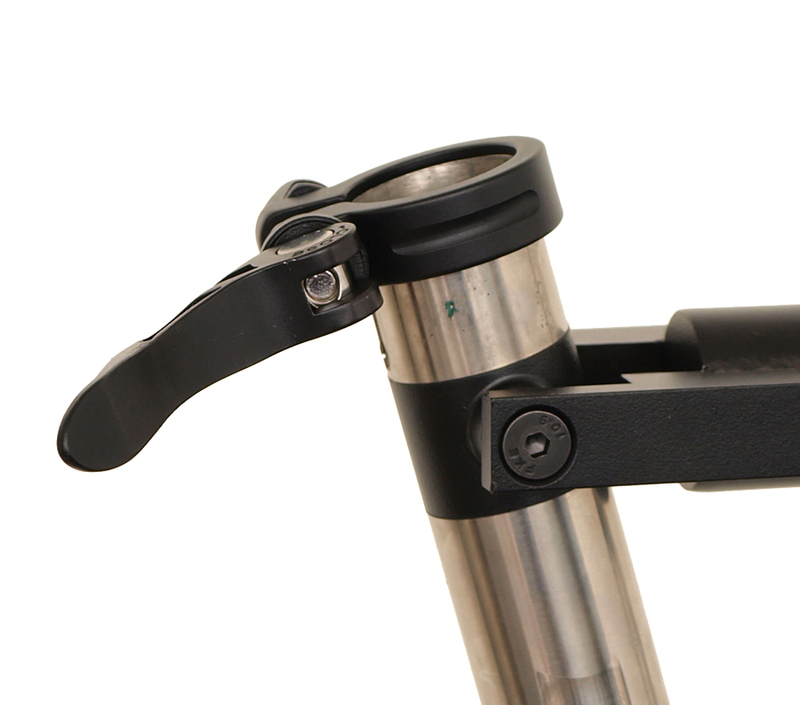 Optional adjustable stem and crank provide a complete system for verifying and tuning rider fit.